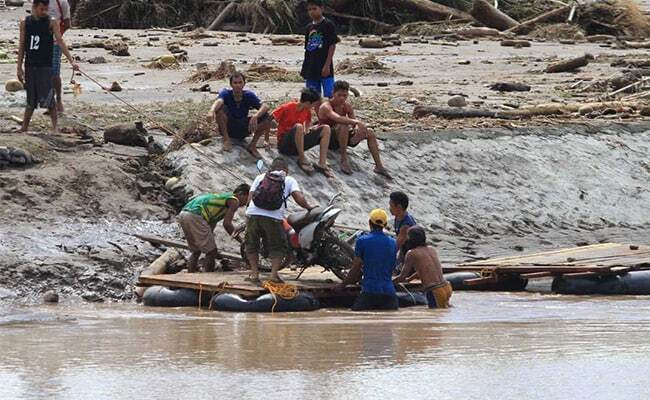 MANILA: Rescuers in the Philippines searched on Sunday for survivors of a storm that triggered floods and landslides and killed about 200 people, left scores missing and thousands homeless, most of whom apparently ignored warnings to move to safety. "The figure could increase as we continue to received reports from the field as the weather improves," said a police spokesman on Mindanao, Superintendent Lemuel Gonda, referring to the death toll. "We are slowly restoring power and communications in affected areas." The storm was moving west on Sunday, over some outlying Philippine islands and the South China Sea towards southern Vietnam, at a speed of about 20 kph (12 mph). The region was hit by another disaster on the weekend when fire swept through a shopping mall in the city of Davao, killing at least 37 people, most of them workers at a call centre, city government officials said. The vice mayor of the southern city of Davao, Paolo Duterte, said the chance of survival for any of the 37 people missing at the NCC Mall was "zero". The fire broke out on Saturday at a furniture shop on the mall's third level and quickly engulfed an outsourcing business on the top floor, said a spokeswoman for the city government, Ma. Teresita Gaspan.